5 Cool pieces for your daughter's BOHO Glam Vibe Bedroom! Super quick blog post because we just have to share how you can add that unique touch to your daughter’s room! Again we love Urban Walls floral decals and think these would definitely add that special touch! Blushing Peonies- Flourish your wall with the intricacies of spring, each peony in different stages of bloom. 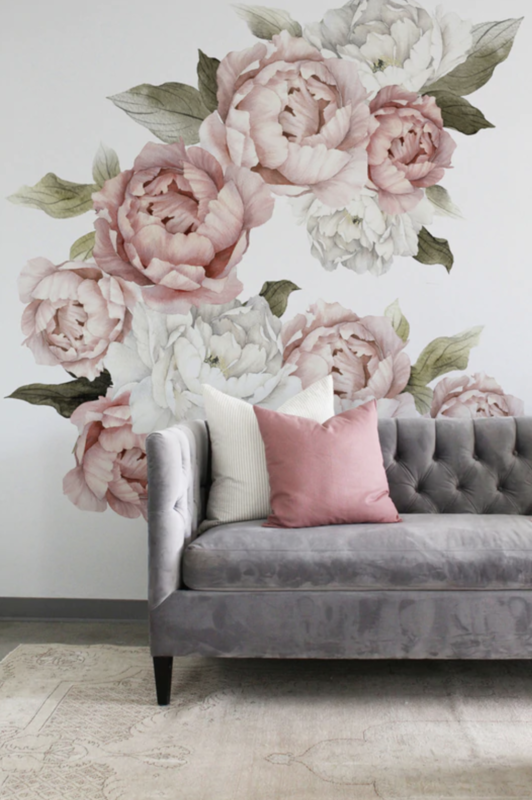 These soft and light coloured flower are sure to impress, dress your space up or down with the Blushing Peonies decal pack. Layer leaves and flowers—or arrange them throughout a space—to achieve whatever look makes your heart bloom. Imagine how cute these Peonies would look on the wall of your daughter’s room! We LOVE this super cute tassle chandelier! Glamtastic Pink Velvet Rocking Chair! 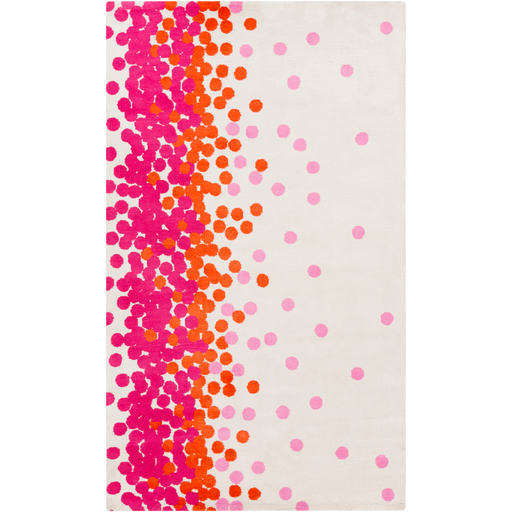 Fun multi color dot rug! 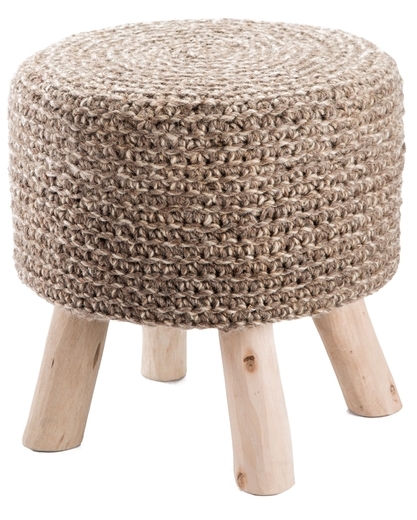 How cute is this stool?! If you need help adding that finishing touch to complete your space reach out to us HERE. We’d LOVE to help you create that special space in your home today! As always please continue to follow the journey through my Instagram Stories and Facebook updates where I will continue to share behind the scene videos and findings. 5 TRENDY PIECES FROM HOMESENCE WE LOVED!! 10 Decor Items we LOVE from Kelly Hoppen! !